As an attorney representing motorcyclists who have been severely injured in accidents, I also appreciate the risks involved in riding a motorcycle and the extent of the injuries suffered by motorcyclists involved in collisions. Because there is no “cage,” injuries suffered by motorcyclists can be catastrophic and often fatal. It is imperative for motorcyclists to avoid accidents at all costs and to wear proper protective gear at all times. Use Two Functional Rear View Mirrors: Virginia law only requires the use of one rear view mirror. In addition, motorcyclists often choose mirrors or their locations based on aesthetics. Using two fully functional and properly located rear view mirrors is the only way to ensure that you are able to see what is happening behind you on a motorcycle. You might just buy yourself enough time to avoid a rear end collision. Be Prepared: While riding a motorcycle you should always be aware of what is happening behind you. If a vehicle is approaching from the rear and does not appear to be slowing, act quickly and safely to get out of the way. Loud Pipes Save Lives: This is a common saying among bikers and it can certainly be true. An approaching driver is much more likely to know that a motorcyclist is in front of them if they can hear the motorcycle. While Virginia law does require the use of operational mufflers to prevent “excessive or unusual levels of noise”, there is no set decibel level. The louder your pipes, the easier you are to detect. Don’t Wear Ear Plugs in Traffic: Ear plugs certainly have their uses, particularly on the open road. While riding a motorcycle in traffic, earplugs may make it impossible to hear approaching vehicles, horns or screeching tires. These sounds can alert you to an impending rear end collision. Use Brighter Tail and Brake Lights: Virginia law requires that every motorcycle be equipped with at least one brake light and one tail light and that the tail light be visible “from a distance of 500 feet to the rear or such vehicle”. In order to achieve this type of visibility with normal lights, many tail light housings are rather large. In an effort to have less obtrusive tail lights, many motorcyclists look to after market tail lights. However, if equipped with normal bulbs, these lights often do not appear to be as visible as the larger stock tail lights. LED lights may be a better option in this case, as they provide more illumination while minimizing size. While rear end accidents can’t be avoided all together, a motorcyclist can greatly reduce the risk of being hit from behind by staying as aware of what is happening behind them as they are with what is happening ahead. Because of the potential for severe injuries, it is incredibly important that motorcyclists remain visible, audible and aware at all times. Ride On! 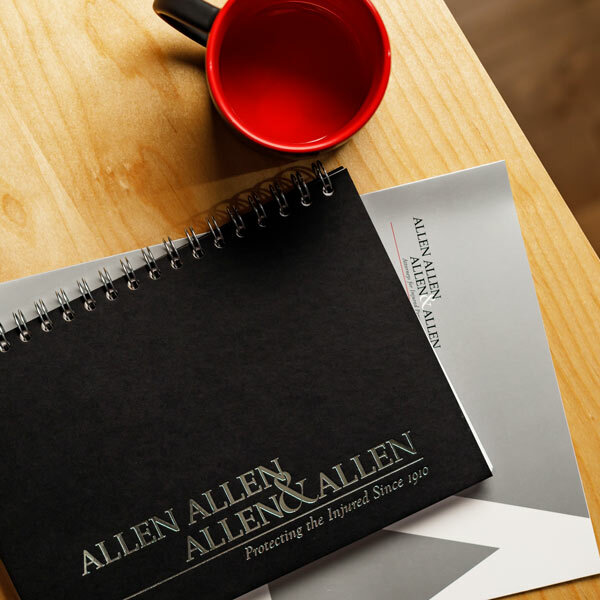 About The Author: Paul Curley is an experienced trial attorney with Allen & Allen. Paul thrives in the courtroom, where he has successfully tried a variety of products liability, traumatic brain injury, wrongful death, and medical malpractice cases. Paul currently works out of the Fredericksburg, VA office. See Va. Code Ann. § 46.2-1012.